Builders are looking for a smart way to energy efficiency, and Mitsubishi is delivering. Mitsubishi is one of those companies that designs and manufactures items you don’t often think too much about. Products like low- and medium-voltage switchgear and cooling and heating systems, which are an absolute necessity in our world, don’t really stay top of mind if you’re not working with them every day. But Mike, a representative of Mitsubishi Electric, does know a thing or two about electrical components and he’s passionate about them. 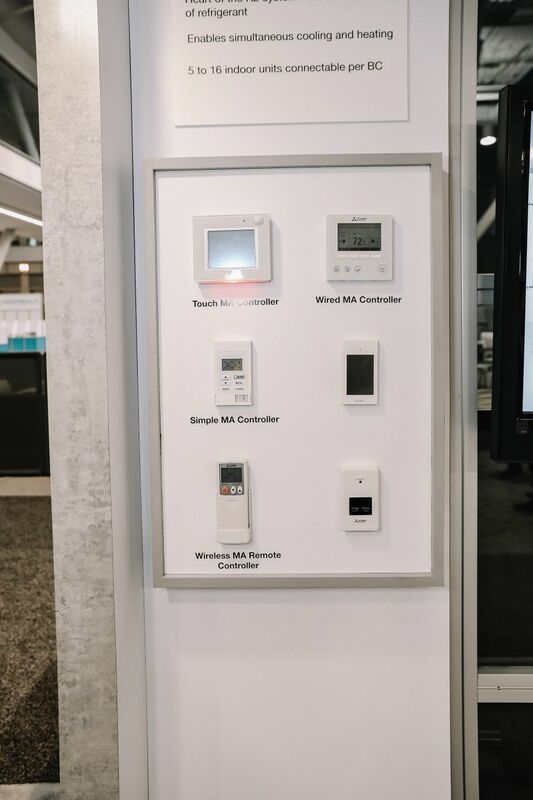 While at Greenbuild, we met with Mike and browsed Mitsubishi Electric’s array of zone comfort products and other electrical innovations. After our conversation, we gained a greater appreciation for Mitsubishi’s focus on creating sustainable, eco-friendly solutions for the everyday consumer. If you’re looking for some efficient electrical gear, check out Mitsubishi’s product lineup. 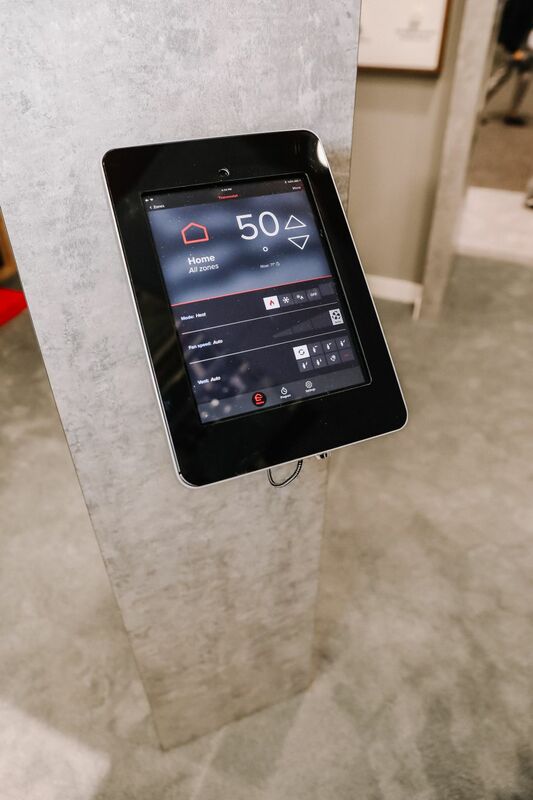 At Greenbuild, Mitsubishi showcased products aimed at both residential and commercial end-users. It’s a common practice here in the U.S.: We try our hardest to lower our monthly energy bills but also maintain a high level of comfort in our homes. Likewise, “Building owners are looking for ways to smartly manage energy efficiency, comfort, and health benefits for their tenants,” explains Mike. We agree. Employees definitely deserve to be just as comfortable at work as they are at home! 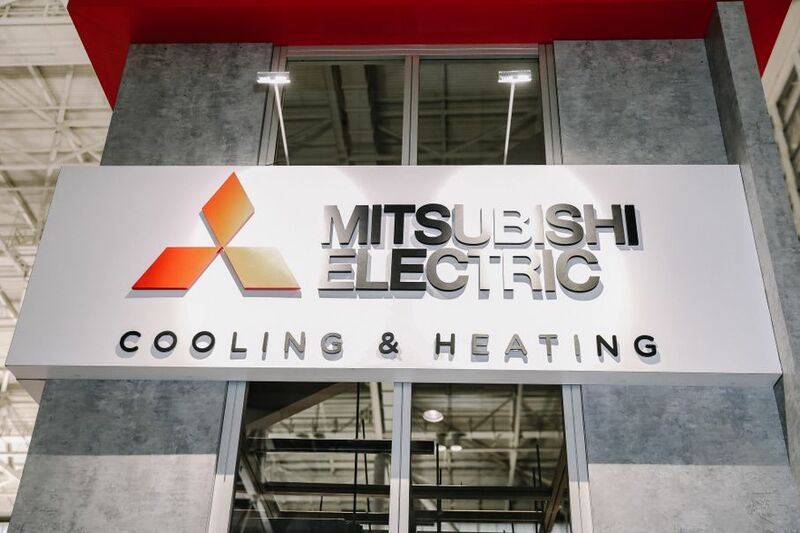 What Mitsubishi does is manufacture controls that are efficient and cost-effective for everyone and in every type of space, including duct and ductless systems. One way Mitsubishi is toeing the fine line between comfort and efficiency is through zone comfort. 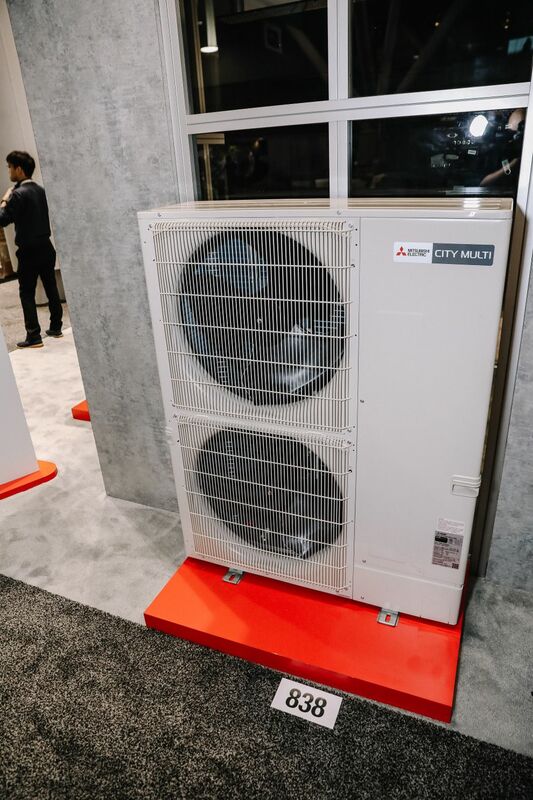 In fact, the company’s advanced zone comfort solutions are the main reason they have come to Greenbuild every year since the expo began. 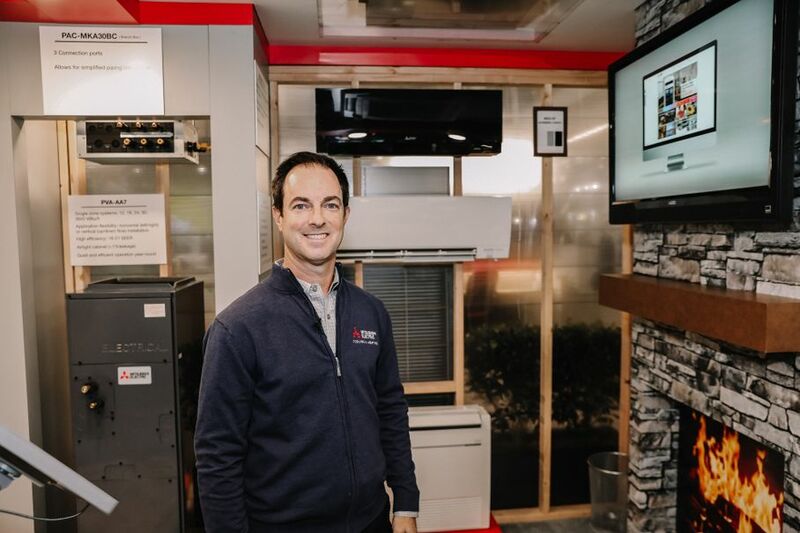 According to Mike, “People want zone by zone comfort and the efficiency to turn certain zones on and off.” Naturally, the zone control products manufactured by Mitsubishi are extremely energy efficient because, when a room or space isn’t in use, it doesn’t need heat or cooling. 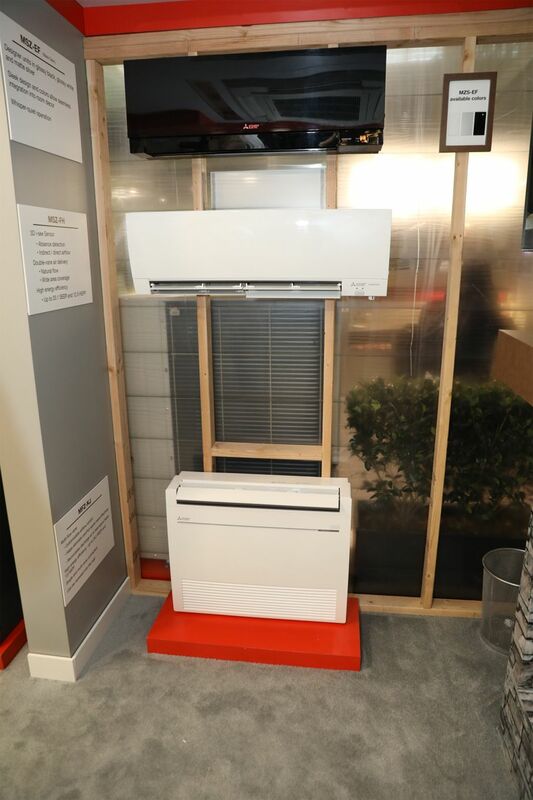 In addition, Mitsubishi has put a lot of thought into the design of these heating and cooling zone comfort units. Most are Energy Star-rated and rebate qualified due to their efficiency. Plus, they’re made to match modern appliances, complete with designer-inspired finishes. As a Japanese company, Mitsubishi infuses Asian and European influences into their products. “A lot of the technologies we're showcasing were innovations from Japan that cater to the European and Asian markets,” Mike explains. However, Mitsubishi takes those advanced technologies that are working around the world and adapts them to the U.S. Market. “Today, we’re looking at the ways that we’re living in our buildings, how we’re using energy, and the cost of that energy,” Mike says. This work is done in their research and development center and their engineering department, both of which are located in Atlanta, Georgia. Above all, Mitsubishi zone control products appear simple and easy to use, so much so that you may be inclined to install the unit yourself. Just remember, it’s always best to consult with a professional to ensure you get the maximum efficiency of the unit. We’re eager to see what Mitsubishi comes out with next. After all, they’ve knocked it out of the park with their zone comfort lineup!